The project mentioned here is a context aware mobile application developed on Android and used to enhance movie goers experience. Gives the user context based notifications for nearby and upcoming movies. 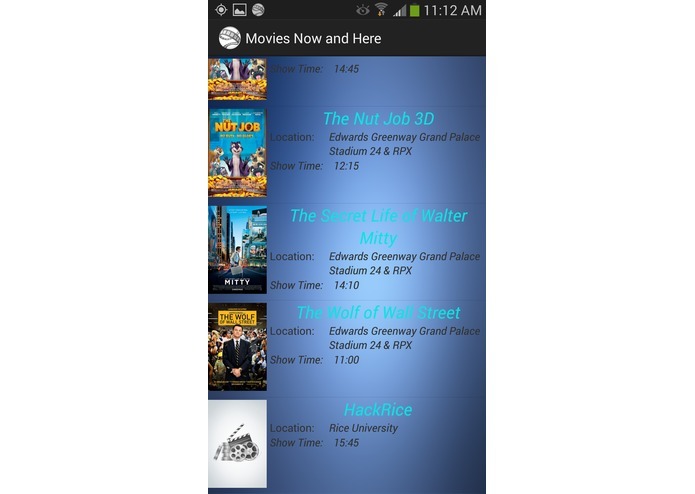 When a user is within the vicinity of a theater, he is notified with the next show times for the movies nearby. He can also use this app to view the ratings/description of the movies that are displayed. It will track the user's position and checks if he stayed in the theater for the duration of the movie, then he is asked if he is interested in providing with the rating for the movie. 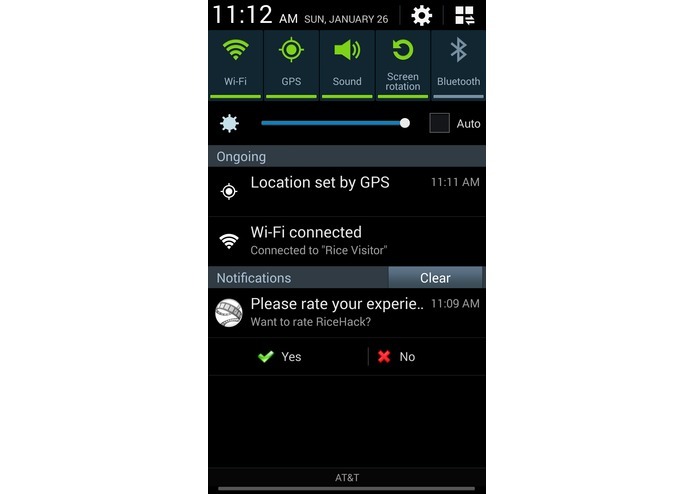 -The users rating can be shared with his friends. The entire data is backed up in the cloud and accessible anywhere from the world with a web browser. 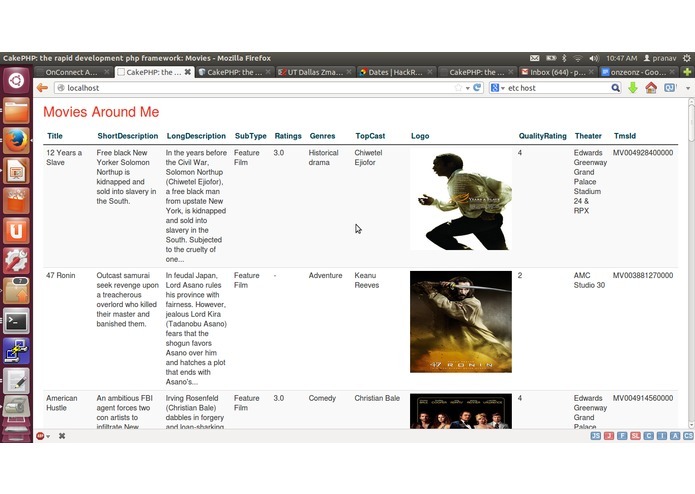 TMS API for fetching the movie details(http://grfx.cstv.com/schools/rice/graphics/logo-temp.png). Google API for fetching the location(https://developers.google.com/places/documentation/). 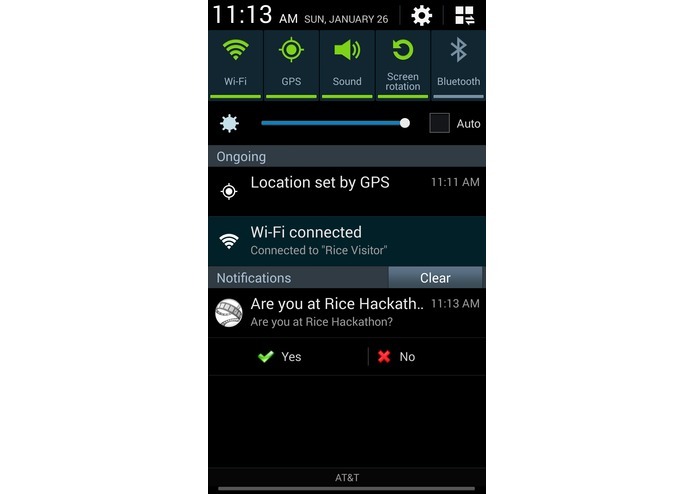 Android Framework for the mobile app using Android Loader API and Android Location API. Web App using PHP/ MySQL.